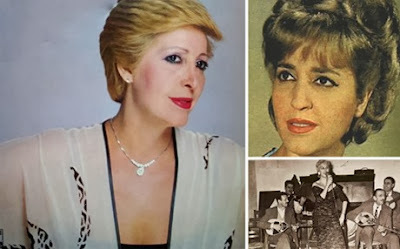 The grand diva of popular Greek music Poly Panou (or Polytimi Koliopanoy) died on Friday at the age of 73. Poly Panou had been hospitalized at the Ygeia Hospital after suffering from a multitude of cancer related issues. The funeral will be held on Monday at 13:00 at the chapel in the Athens First Cemetery, and then her coffin will be transferred to the Kokkino Milo Cemetery where she will be buried in a family plot. 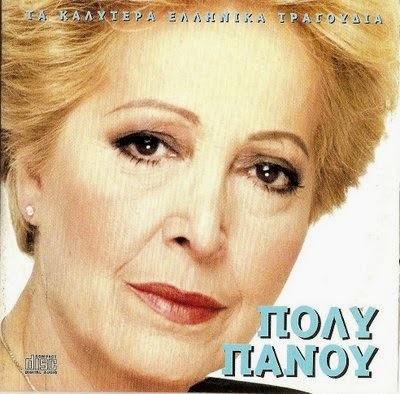 Panou was born on October 28, 1940 in Patras. She began singing at an early age after being discovered by legendary Grigoris Bithikotsis. In the late 1950s she worked with famous Laika composers Vasilis Tsitsanis and Yiannis Papaioannou. By 1966, she owned her own recording company and three years later she performed in Paris, France. She was best known for her song "Ti sou ekana kai pineis" (video below). She marked this song with her characteristic and distinctive voice, and sang it in the 1968 in the movie 'Olga my love". A couple of years ago, the band "Apenanti" with the clear voice of its lead singer Melina Aslanidou re- introduced it to the Greek Music Scene and it was in the top charts for weeks on end. Panou was also known for her other songs: "Anapse To Tsigaro", "Pare to daxtylidi mou", the tear-jerker "T'adelfia Den Horizoune", also the song "Ta limania", the classic and timeless tune "To Dixti", as well as for the lead song for the movie "Kokkina Fanaria".